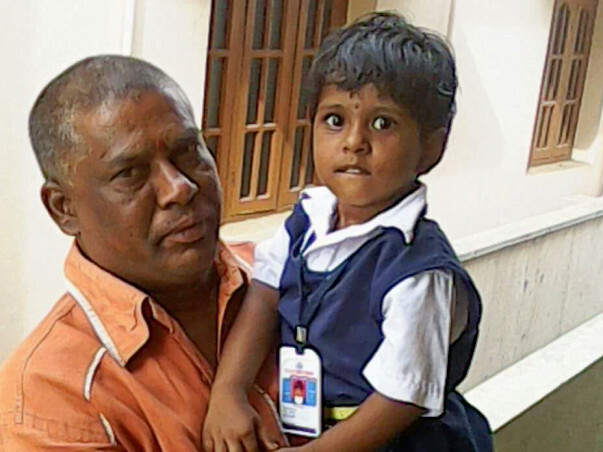 " I regret that i was not around when this happened and i wish i could have stopped this whole thing " Says Ramesh, Vaishnavi's father. 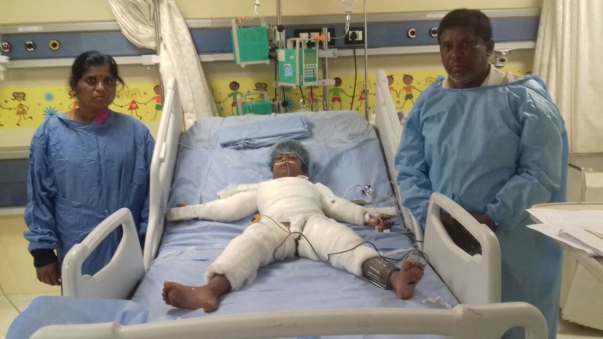 Vaishnavi has been burnt badly through out her body. She was playing around during her tuition time around a tree which was lit by evening lamps. Suddenly her frock caught fire and in a span of 5 min her whole body was on fire. No one was around when this happened. The neighbors immediately stopped the fire and sent for her parents. The family spent nearly a day scouting for hospitals and shifting her from one hospital to another. As no one would admit the child. 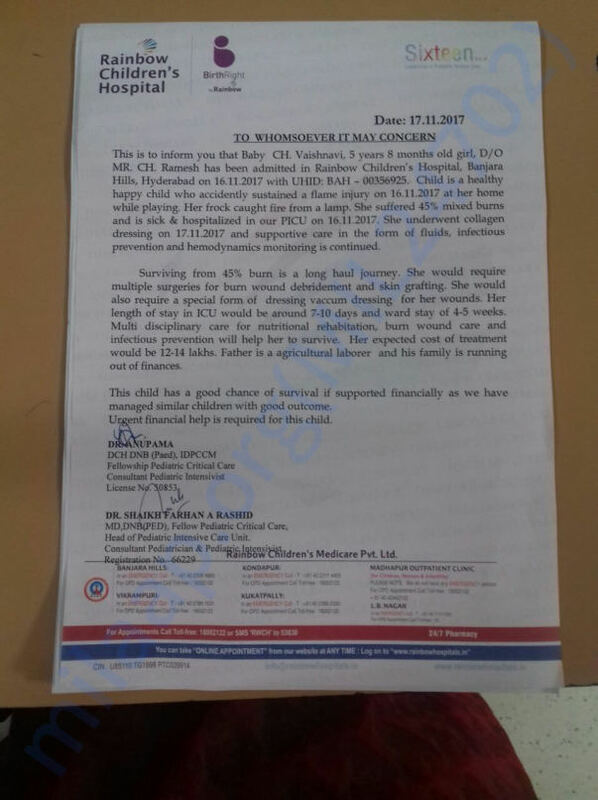 Vaishnavi is in a critical condition now, 45% of her body is burnt which is equivalent to 60-65% in an adult and these are deep burns. She needs to under go multiple surgeries and skin grafting too. 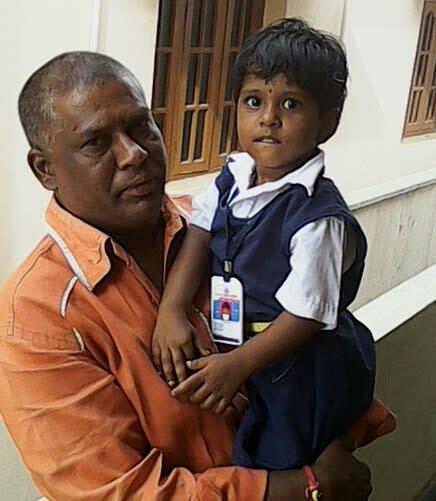 Her father Ramesh works in a small company doing odd jobs. He earns around 6000/- Rs a month and mother is a daily wage laborer. They stay in Dundigal Airforce in the outskirts of Hyderabad. The family can hardly afford these expenses. They have no savings and no one has helped them financially till now. Ramesh with Vaishnavi before the incident. He is currently in the hospital day and night next to her. Please help this little one and her family. 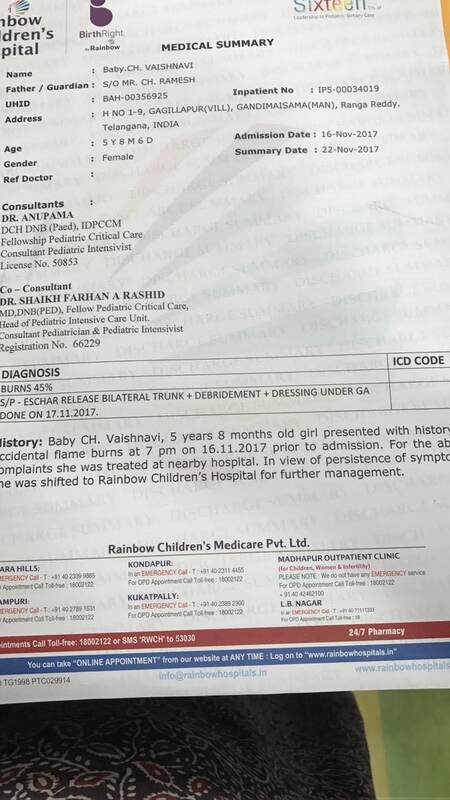 Here is a quick update on Vaishnavi's health. She has been discharged from the hospital and currently she is at home. She has recovered majorly but still it will take more time to fully recover. 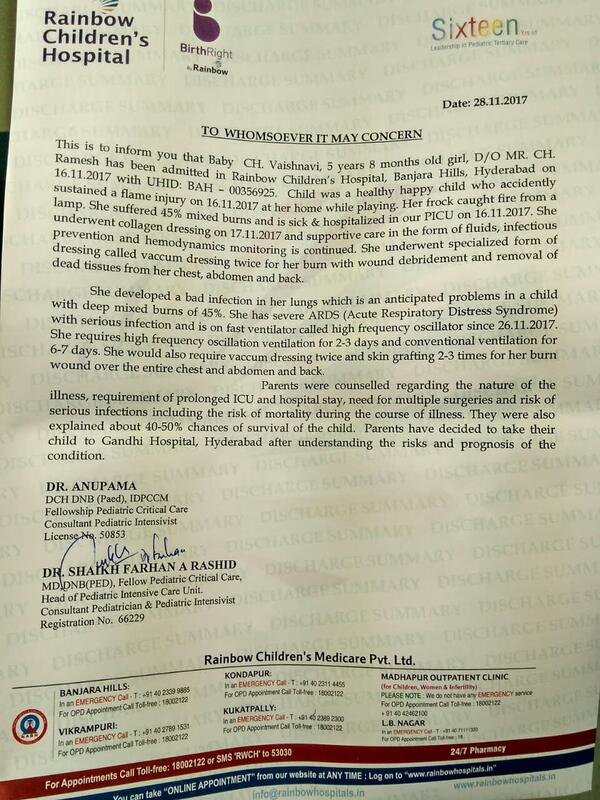 She is on regular medication and so far she has responded well to the treatment. 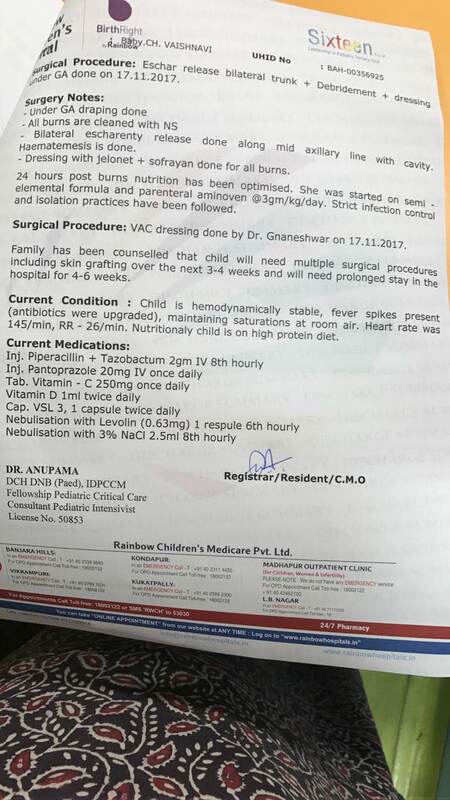 She will have to visit the hospital once in two weeks for follow-ups. We are very grateful for your generous contributions. Thank you for the support you have shown Vaishnavi. Thank you for all the support and generosity shown to their family. She would require a rpt dressing by the plastic surgeon after 5 days. Her donor graft area is not that big as she has significant burns on the chest , hands and thighs . She would require 3-4 times surgeries for skin grafting once her wound starts to heel. 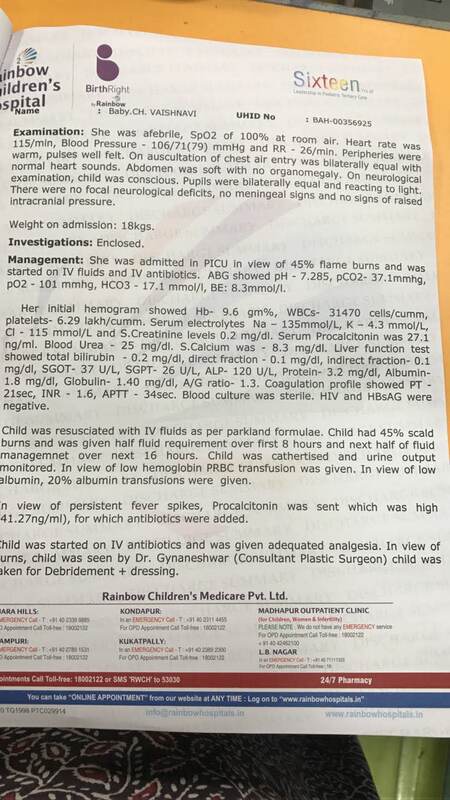 She would require a PICU stay of 3-4 days and subsequent stay in the hospital for the next 3 weeks. Thank you for all the love and support you have shown this child. The parents are very happy and are grateful to you.